For anyone who has purchased life insurance over the years, a life insurance policy audit is an extremely important part of protecting financial assets and overall wealth. Many times, life insurance policies are purchased and tucked away, not seeing the light of day until they are needed. Due to the manner that life insurance contracts used to be constructed, that was the normal course of action for those who purchased life insurance. However, due to the fact that there are so many moving parts to existing life insurance contracts, it is important that you audit your existing portfolio from time to time to determine if it is working in your best interests. 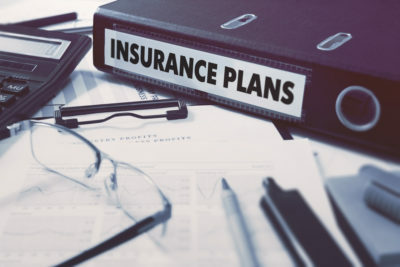 A husband and wife, ages 67 and 62, had a $4,000,000 survivorship whole life insurance policy, managed by a trust company, that had not been reviewed since its purchase 15 years earlier. Over the 15 years, the clients’ estate had grown significantly and they were in need of additional coverage. The clients and their trustee asked for a review of the existing policy and to make recommendations for additional insurance. The annual premium of $26,000 was not scheduled to “vanish” as the clients were initially told. The clients were rated as standard non-smokers and would typically have been given preferred underwriting at present. The cash value was $800,000, yet the death benefit had not grown from the initial $4,000,000 (thus, the policy was not leveraged very well). Additionally, the policy had very weak guarantees. By bench marking the current policy against newer policies available in the market, we found that an additional $2,000,000 of coverage should be attainable under the same standard medical classifications and for the same premium outlay. This represented an additional 50% of coverage at no incremental cost. Trustee and clients agreed to proceed with a preliminary underwriting process to obtain formal offers. Due to strong relationships with the carriers, the client successfully obtained new insurance coverage in the amount of $6,500,000 at preferred rates for both clients. The new policy was guaranteed. According to the Uniform Prudent Investor Act (UPIA), a trustee shall invest and manage trust assets as a prudent investor would, by considering the purpose, terms, requirements and other circumstances of the trust. By using an independent firm, trustee and clients were able to survey the entire market to obtain the best offer from the best carrier. Clients’ coverage increased by 62.5%, from $4,000,000 to $6,500,000, at no additional cost. Due to enhanced underwriting, the clients qualified for better health classifications, thus receiving lower internal mortality costs. By using a new “no-lapse” universal life policy, the premium and death benefit are guaranteed as long as premiums are made in a timely matter.